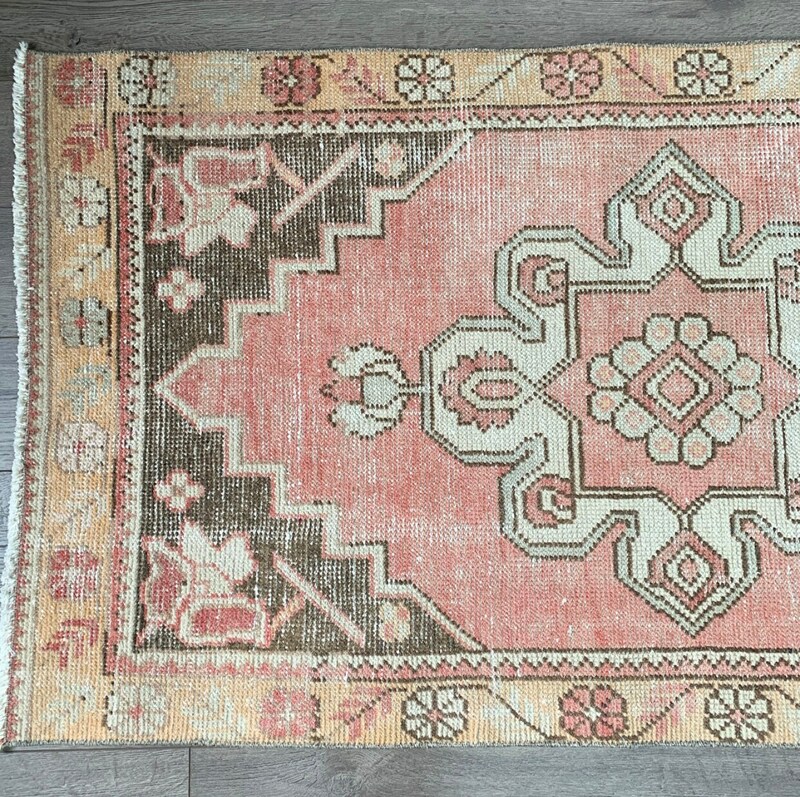 A vintage classic! 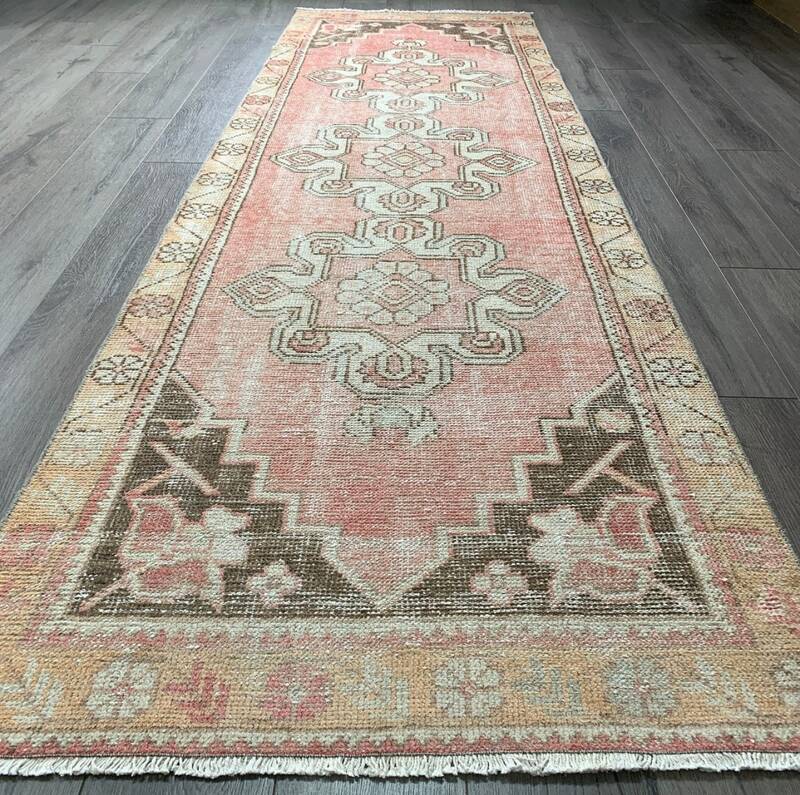 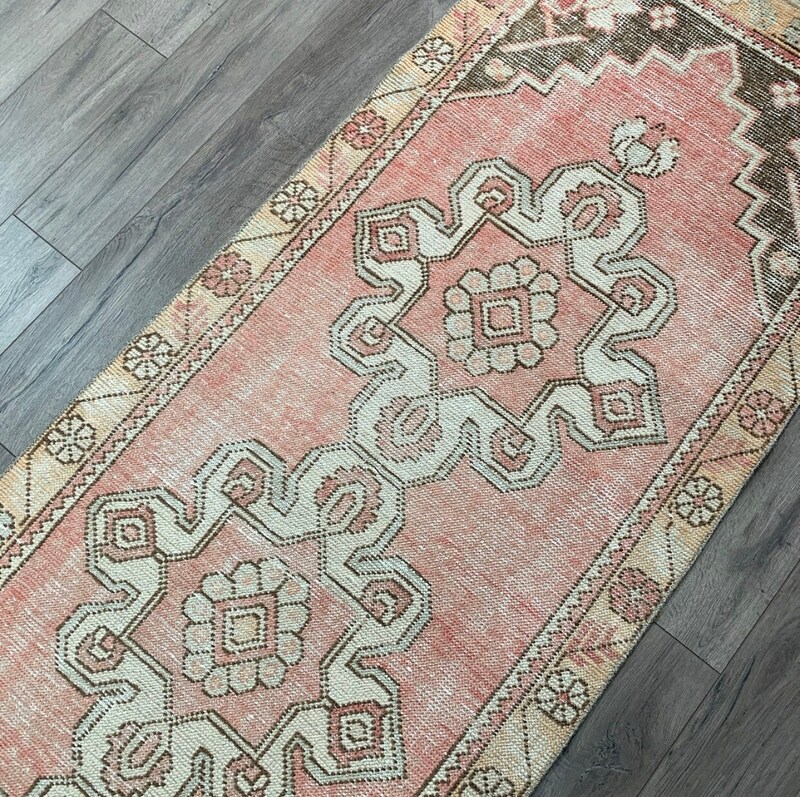 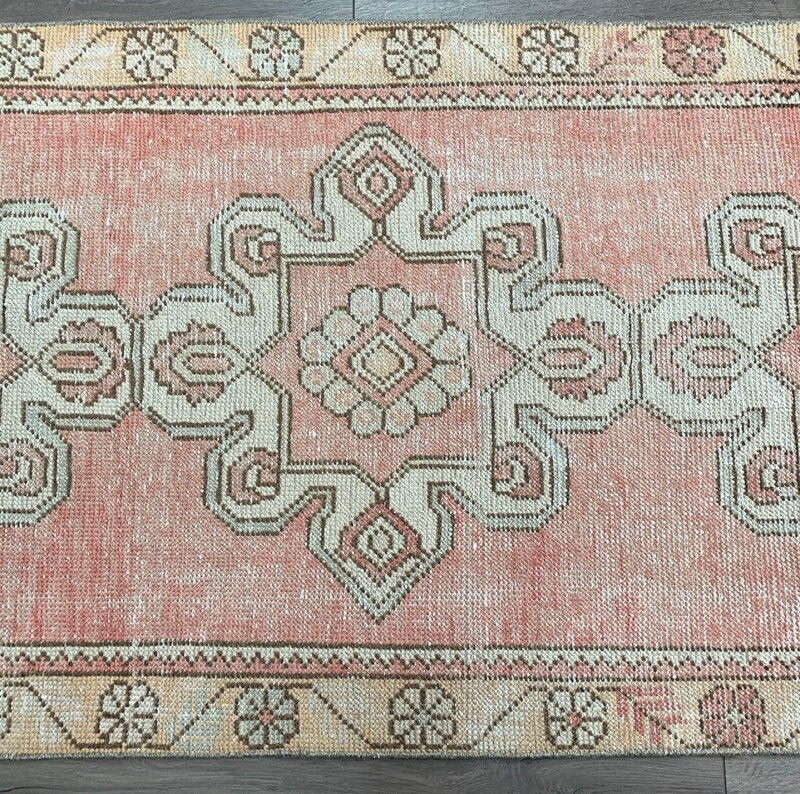 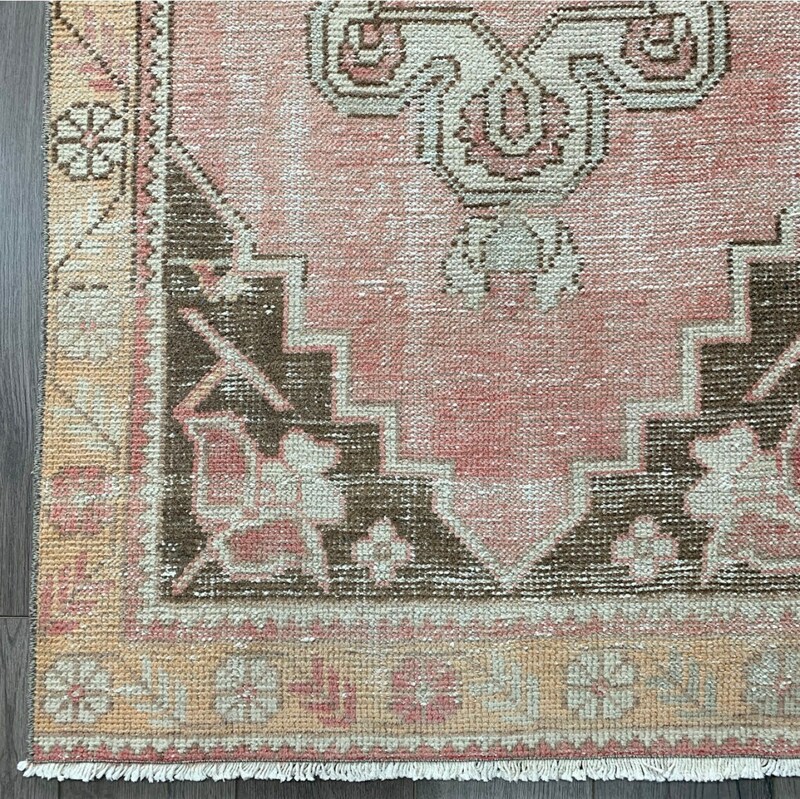 This hand-knotted vintage Turkish rug from the 1940s is full of the prettiest colours - faded blush pink and brown dominate the field and 3 centre medallions, with pastel pink, blue and tangerine details along its length. 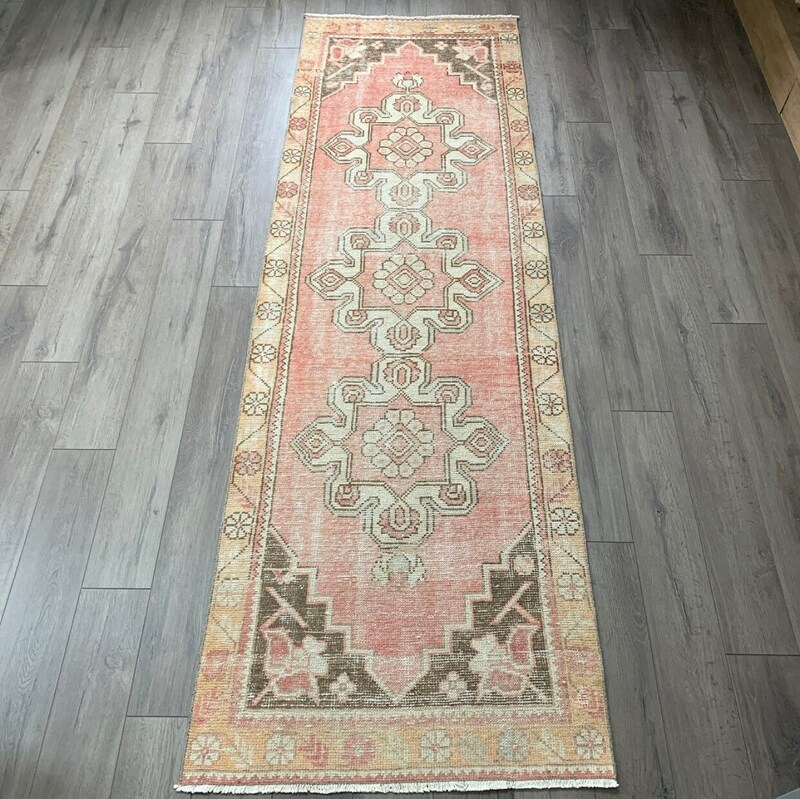 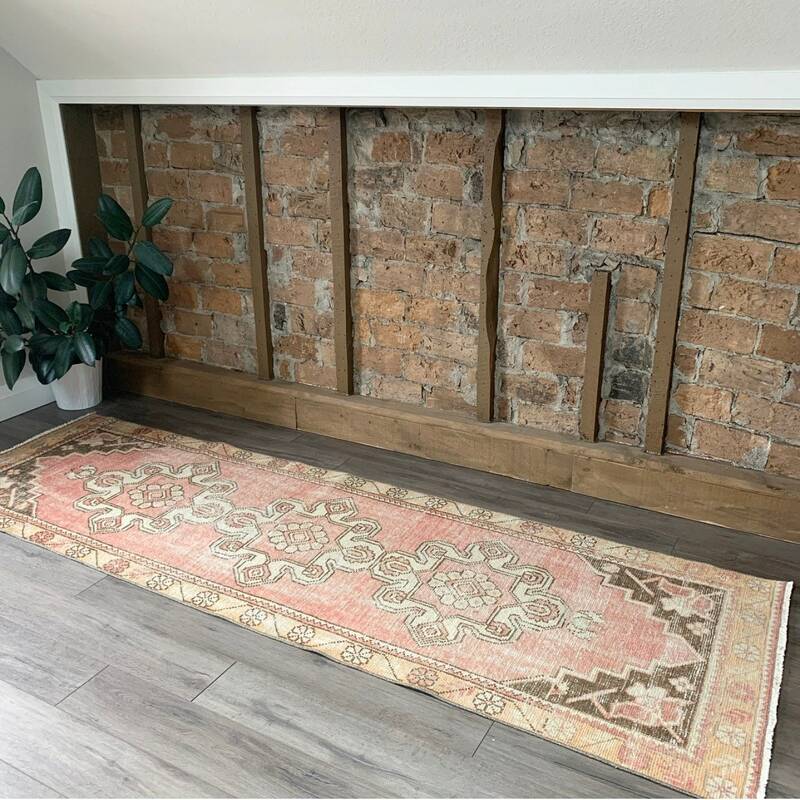 If you have a long hallway looking for some colour, or a white or light coloured kitchen, this could be the rug for you! 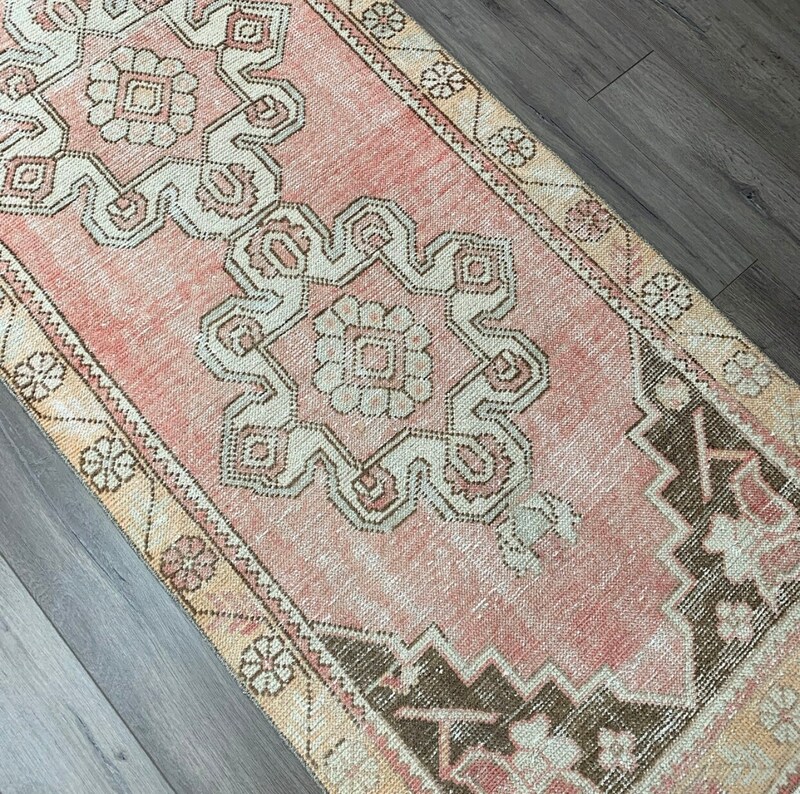 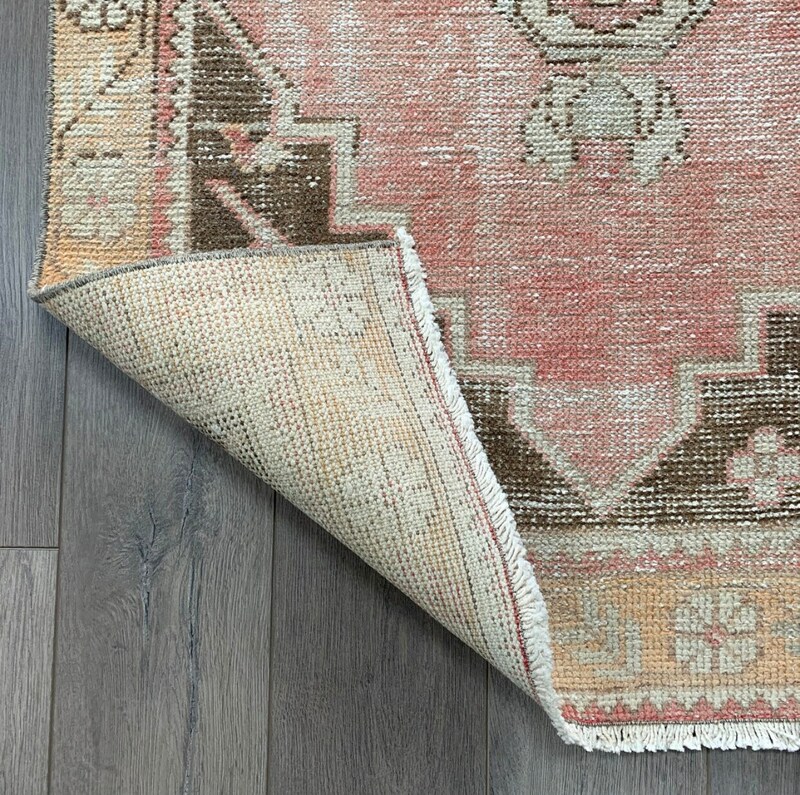 Turkish Oushaks are durable rugs that are built for everyday use, and can be regularly vacuumed and spot cleaned.